A woman’s ability to smell the disease has led scientists to identify what causes the odour. 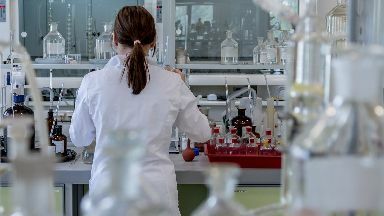 A Scottish woman's ability to smell Parkinson's disease has led scientists to identify what causes the telltale odour, raising hopes for a new early diagnosis tool. The 68-year-old described it as a "musky" scent and approached a researcher at a Parkinson's UK lecture. Professor Perdita Barran, a lead author of the study, said: "What we found are some compounds that are more present in people who have got Parkinson's disease and the reason we've discovered them is because Joy Milne could smell a difference. "She could smell people who've got Parkinson's disease." The scientists designed experiments to mimic Mrs Milne's sense of smell by using a piece of equipment called a mass spectrometer. The "volatile biomarkers" they identified could help to develop a simple test for early detection of the disease. Professor Barran said: "What we might hope is if we can diagnose people earlier, before the motor symptoms come in, that there will be treatments that can prevent the disease spreading. So that's really the ultimate ambition." 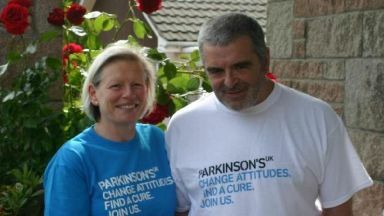 Around one adult in every 350 in the UK have Parkinson's, which can leave people struggling to walk, speak and sleep.